NAPOLI (4-3-3): Reina; Maggio, Albiol, Chiriches, Hysaj; Zielinski (41' st Mario Rui), Diawara, Hamsik (32' st Rog); Callejon, Mertens, Insigne (20' st Allan). A disposizione: Sepe, Maksimovic, Jorginho, Ounas. Allenatore: Sarri. 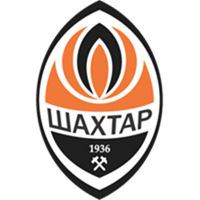 SHAKHTAR (4-2-3-1): Pyatov; Butko, Ordets, Rakitskiy, Ismaily; Fred, Stepanenko (25' st Alan Patrick); Taison, Marlos (34' st Dentinho), Bernard; Ferreyra. A disposizione: Shevchenko, Khotcholava, Azevedo, Kovalenko, Blanco. All. : Fonseca. MARCATORI: 11' st Insigne, 36' st Zielinski, 38' st Mertens. NOTE: Ammoniti: Maggio (N), Chiriches (N), Reina (N), Ismaily (S), Ferreyra (S). Angoli: 7-4 per il Napoli. Recupero: pt 1', st 3'.